Don't forget your bag of hero tools! 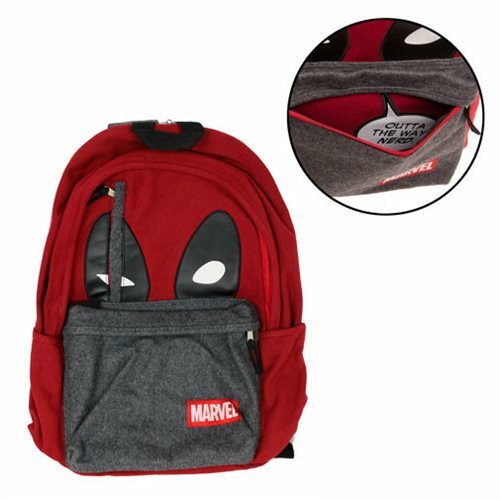 This Deadpool Hidden Quote Backpack features an interior laptop pocket and a hidden message from the Merc with a mouth inside the front pocket. Made of Cotton Canvas, the Deadpool Hidden Quote Backpack measures approximately 13-inches x 18-inches x 6 1/4-inches. Ages 14 and up.